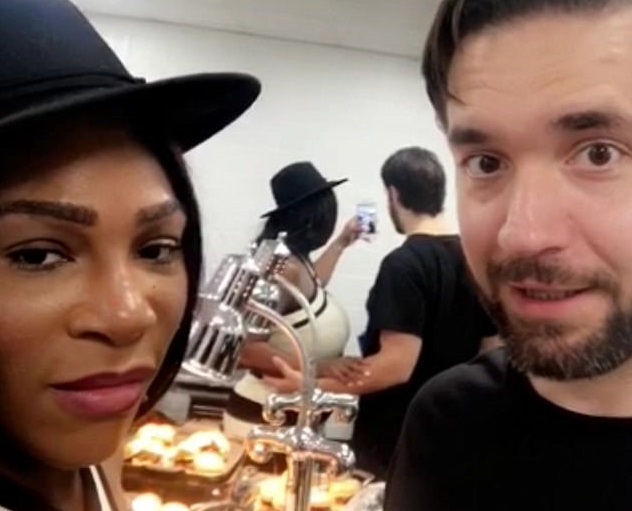 New mom Serena Williams was super excited on Wednesday night as she attended a Bruno Mars concert in Miami with fiance Alexis Ohanian. 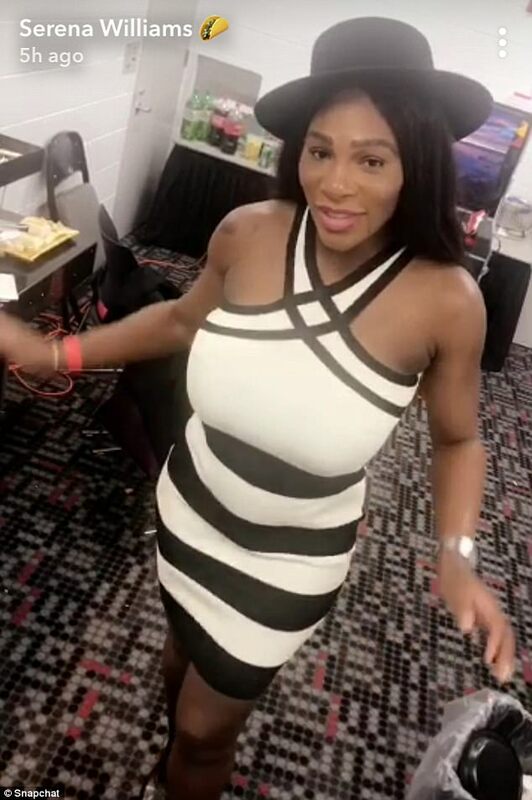 Serena who welcomed her first child, Olympian, last month showed off her beautiful post baby body while snapchatting. Recall that Serena Williams announced her pregnancy in April when she was just 20 weeks in and her fiance, Alexis Ohanian, confirmed it shortly after. She welcomed her beautiful daughter in early September and has since been basking in the joys of motherhood as she has severally shared Adorable photos with her baby on social media.